How I combated the pressures of social media "perfection", multitasking and choice paralysis. Now imagine saying these to yourself over and over again with the nervous, pent up energy of a caffeinated hamster. That’s how it feels inside my head from time to time. 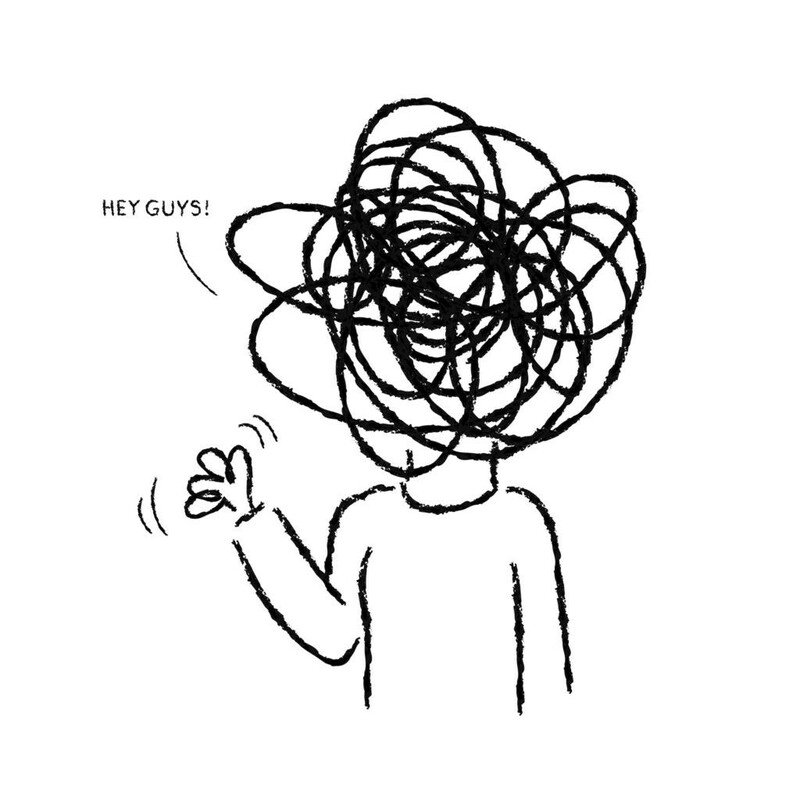 As someone who is easily distracted, having a buzzing frenzy of thoughts, project ideas, tasks and to-do lists swirling about your brain is one big MASSIVE distraction. In my last job I unintentionally taught myself to multitask (which I recently discovered was actually “rapid task switching”) and the habit has stayed with me in my freelance practice. I’m used to jumping from task to task and as a result I lack focus (which is why I’m reading Deep Work by Cal Newport). According to research it takes 23 minutes and 15 seconds to refocus on an interrupted task. That’s a lot of wasted time if you’re doing this regularly throughout the day. It’s taken me a while to realise I don’t have to work like this any more. But that’s the thing with habit — you do it without thinking. And eight years of working in this way is a difficult habit to break. I constantly feel the need to produce “perfect”, Instagram-ready work at the drop of a hat. I feel the pressure every time I sit down at my desk — better create something good; got to share on Instagram; got to sell it on Etsy. This is not a mindset that’s conducive to creativity. This Midas effect makes me think I can’t create anything “bad”, for fear of not having anything to post on social media. It’s bonkers! Logically I know no-one can create perfect work first time and that you’ve got to be bad before you can be good. But I’ve built up this fear of Starting. And when you don’t start, you make nothing at all. In a way this noisy collection of thoughts feels exciting: having a promising list of ideas, projects and possibilities to explore. The problem is I get caught up in all the things I feel like I should be doing, all the things I could have done and all the things I still want to do. I get completely and utterly paralysed and end up doing nothing! And then I feel guilty for wasting time. The cycle continues. It seems I’m suffering from Choice Paralysis: being presented with so many options and opportunities that I get overwhelmed and can’t figure out where to begin. Whenever I feel that familiar buzz of thoughts and pressures inflating and filling up my brain, I take a minute and think “Right, let’s stop for a second; what’s making me feel this way?” Being able to spot anxieties before they descend into a gooey mass of unfulfilled expectations is key. I’ve got to stop the madness before it has a chance to take root. When I’m given the luxury of a long deadline, I promise to produce the work within days. It’s partly a hangover from working in a fast-paced environment which sadly no amount of Alka Seltzer will cure. So I’m training myself to be less reactive. 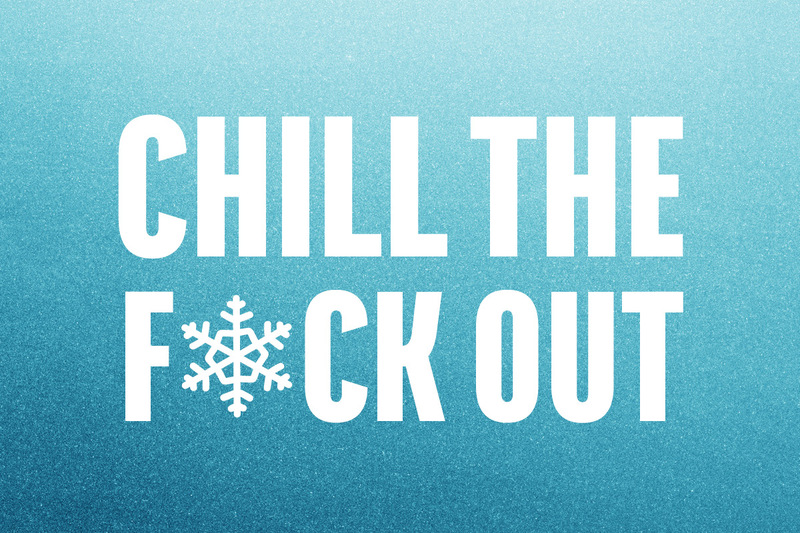 Rather than go with the knee-jerk reaction to everything, I take a moment — step back — think — and thenproceed. In his book Steal Like an Artist Austin Kleon says that in order for good ideas to come about “creative people need time to just sit around and do nothing.” In our society where busyness is considered an accolade we’re often uncomfortable with being still — and with being bored. But this is when all the best ideas happen — I know a lot of people who agree the best ideas hit them in the shower! As someone who identifies with a caffeinated hamster, just sitting and letting my mind wander is tricky, but I’m getting better at it. Instead of constantly filling my schedule with task after task after task, I build in blocks of time to just allow myself to think and let ideas come together. I put my feet on my desk and put some music on — the Lo-fi Beats playlist on Spotify is my favourite backing track. When everything feels like a fuggy mess in your mind the best thing to do is to get a little perspective. When the pressure is piling up and your Chimp Brain is in full swing you need to get away for a bit. Go outside, make some music, play a computer game, dance about, play with your cats/dog — anything that breaks you out of that mindset. When you come back try and look at the Bigger Picture, and break the day/problem/project into bite size chunks. Making a habit of checking in with yourself like this, either routinely or randomly, will help you tune in to those anxious thoughts when they threaten to creep in. Learning to mind map has helped me with this. Sure, we all did mind maps in school but there’s a whole philosophy and technique behind it that your Modern Studies teacher didn’t tell you about. 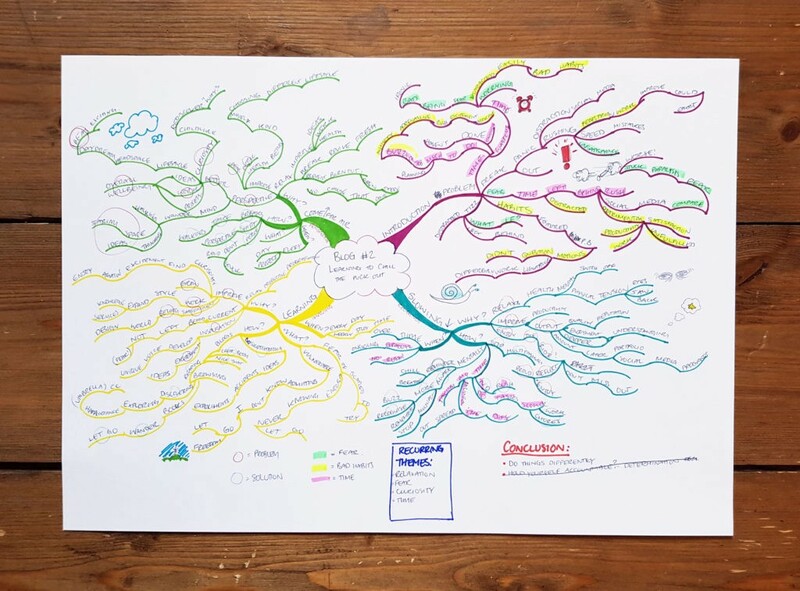 Mind mapping helps me break down my thoughts into digestible chunks and displays them in one Big Picture, literally. Getting a bit of perspective can give you distance from your work every now and again. When you’ve been working on the same project for any length of time it’s a good idea to change the landscape for a while, whether it’s getting outside or just moving onto another job. Not thinking about or looking at a project for a while can make it feel fresh and new when you come back to it later. On a recent branding project I left the last version of the logo up on my screen, so that when I opened my laptop the next day it was the first thing I saw. I would usually forget I had done this so it was always a surprise, and usually that’s when I would spot anything that needed adjusted — or if I even liked the design! This distance helps you catch anything untoward that you might not have noticed before. I used to find the “go for a walk” advice a little patronising but in actual fact it’s awesome! Not only do you get some distance from your work and headspace in your mind, but the feeling of fresh air in your lungs after being inside all day is pretty fantastic. Another thing that’s helped me #CTFO is finding a time management tool that works for me. Rather than just muddling along on a bumpy train of thought every day, I’ve researched different methods to help me make sense of the fluff inside my head. At first this was just another source of anxiety (“I can’t find a time management system that works for me! !”) but with just a little more digging I found a system that works, namely Todd Henry’s Weekly Plan Sheet. I’m only two weeks in but already I’m feeling more in control of my time and progress. It all comes down to taking a step back and asking questions: of yourself and of your habits. Why do you feel anxious or overwhelmed? Why are you so distracted? How can you make things better for yourself? By getting that bit of perspective you’re able to see the bigger picture, and make helpful, manageable changes to your habits and routine that will turn down the noise in your head. In my experience it’s helped me feel more creative, more relaxed and more in control. Laura is a freelance graphic designer and illustrator living in sunny Glasgow, Scotland. She started her freelance practice in 2018 and is documenting her thoughts and observations along the way, and likes to think of these as Essays on Creativity. You can usually find her with a coffee in hand and a cat on her lap.